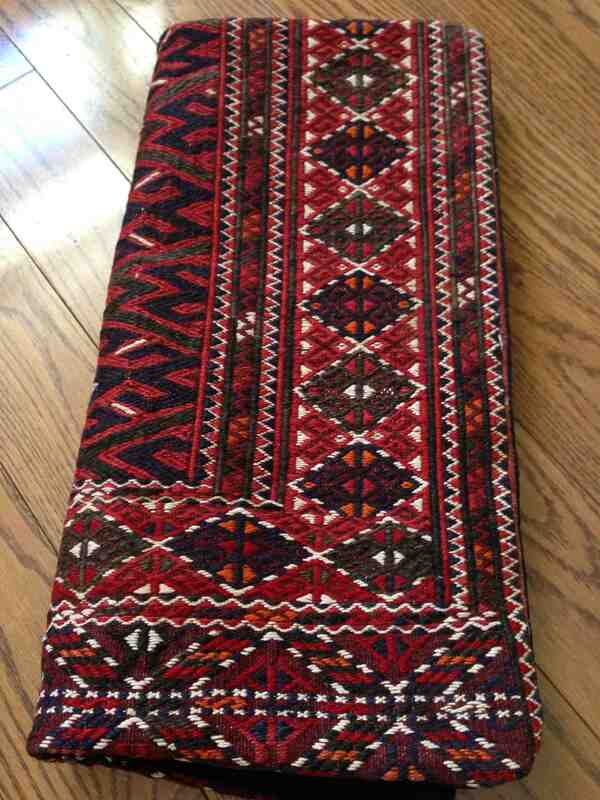 Today I’m giving away a beautiful kilim cushion cover (it’s folded in half vertically in this picture). I got this from my Mom after one of her many exotic adventures, possibly Turkey? I love it, but it really doesn’t have a natural place in any room in my house. My sister has two and really wanted a third so I’m giving it to her. I’d rather see it out, being used and treasured, so there it is. Bye bye cushion cover, I’ll be visiting you. Today I’m giving away these shades that go over a lit candle. There are little frames that they sit on but unfortunately, I can’t find them. 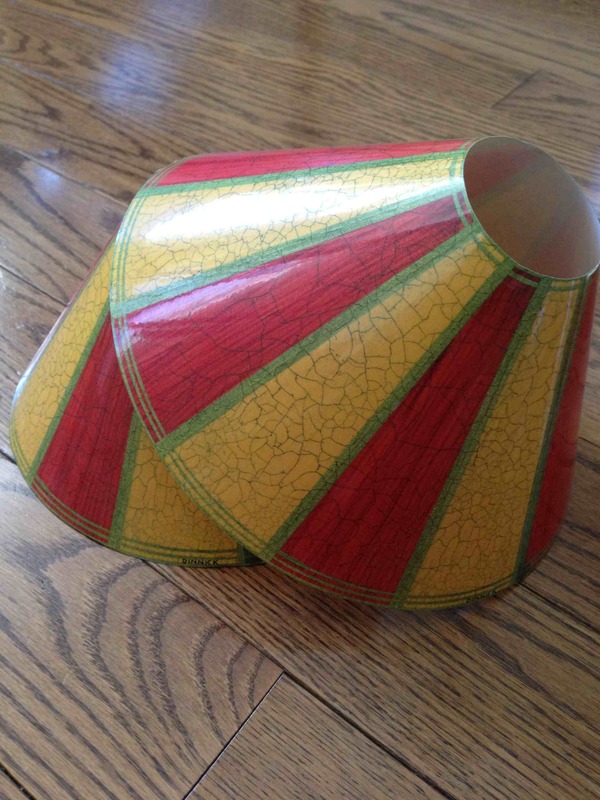 A long time ago, when we still said things like “shabby chic”, these were in fashion. I love orange so mine were orange (even though they look red in the picture, which they aren’t). I stuffed them in a dining room storage cupboard many years ago and forgot all about them. I know the little frames will turn up eventually but in the meantime, they’re going in the Looney Tooney sale box for my nephew’s school. Today I’m giving away a scented candle and candle holder. The candle smells a bit like cinnamon. I don’t know how I came to have this, it must have been a gift. 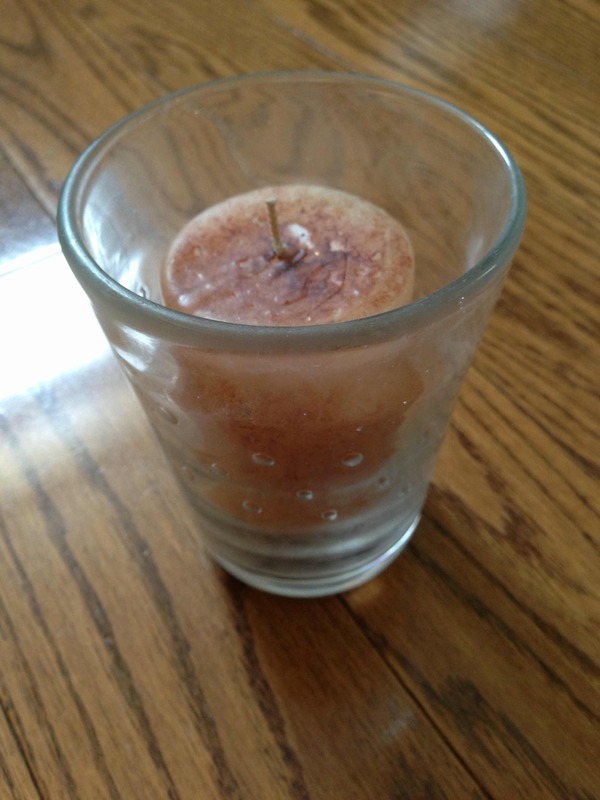 The only scented candles I like are these. They smelled like rich people houses and the proceeds went to an excellent cause. I hope whoever gave it to me either doesn’t mind me giving it away or doesn’t see this and will never know. It’s going in the Looney Tooney sale bin. 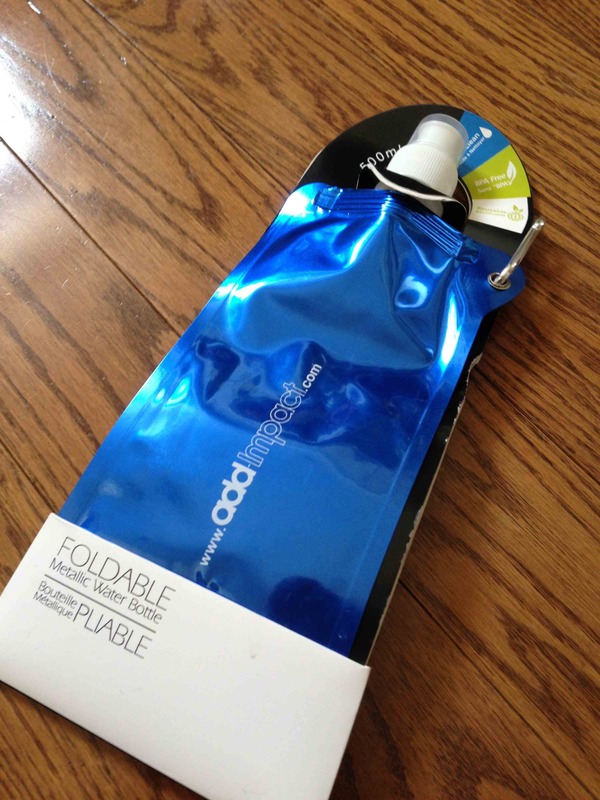 Today I’m giving away a foldable or collapsable water bottle. As you can see, it’s still in the packaging and has never been used. I don’t know why, but I have three. One was a gift, one was swag and one I bought a long time ago for a trip to a third world country and never used it. I think this one was the gift but I chose this one to give away so that it can be regifted to someone else. It’s going in my nephew’s Looney, Tooney sale box. It’s freezing here today. Make it stop. 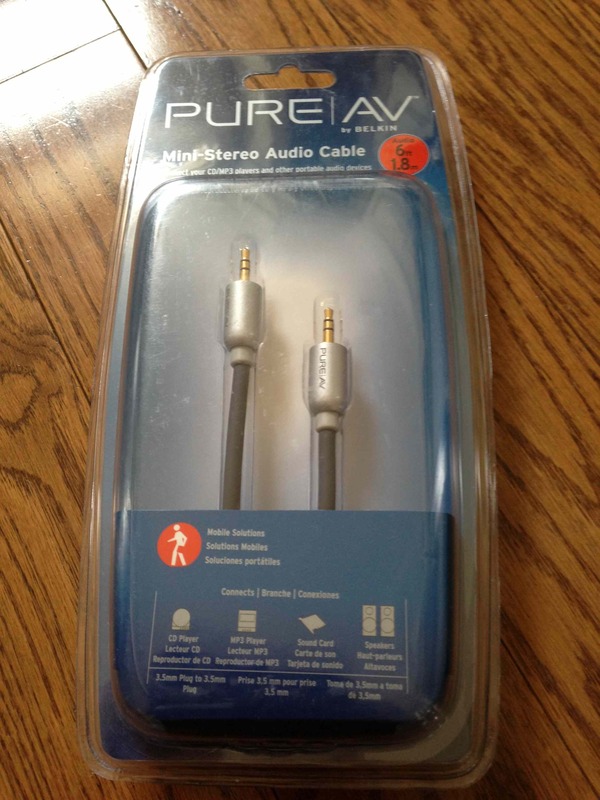 Today I’m giving away this audio cable. It is unopened. I don’t know where it came from, when I bought it, if I bought, or why I have it. I don’t even know what it’s used for. It doesn’t appear to connect to any of my portable devices or my computer. It doesn’t connect to my television. I think I could plug one end into a stereo and the other into something else to get the sound through the stereo, but I only do that with my iphone or ipad and I already have the cables for that. It’s going in the Goodwill box, unless my brother in law wants it. 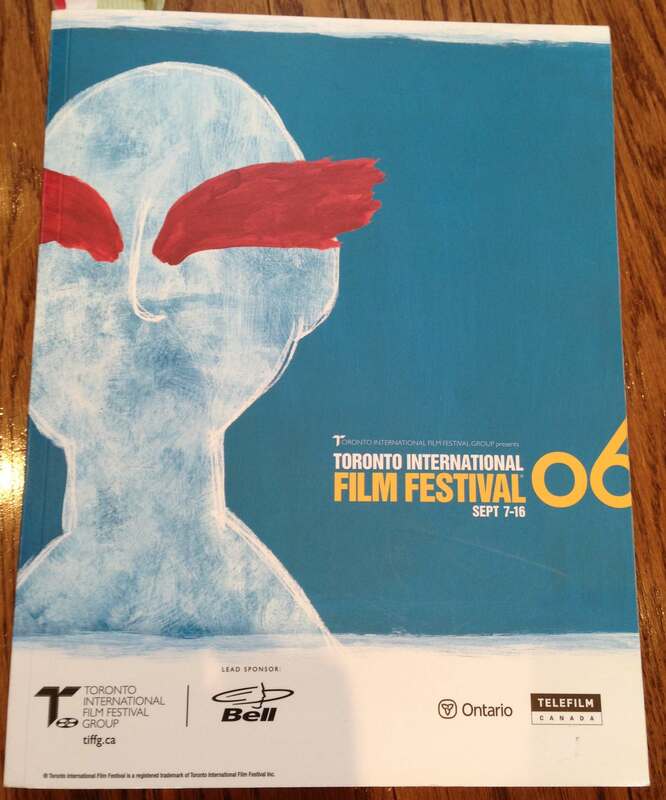 Today I’m giving away the 2006 TIFF Programme. Another excellent year for the festival and a couple of great discoveries for me. I have a slightly longer list than previous years because it was so good. Dixie Chicks: Shut Up and Sing – directed by Barbara Kopple who already had a big name in documentaries. She was at the screening and did one of the best, most enthusiastic Q&A’s I’ve ever attended. She told us that when they started this project they thought they were going to make a movie about the Dixie Chicks’ worldwide tour, to show an insider’s view of the machinery that makes a huge star juggernaut act happen. Then, on the first or second night of the tour, Natalie Maines said to a UK audience they were ashamed that George W. Bush came from Texas. Their world exploded and the movie follows them over the next 12 months through all of the protests, and the making of their follow up album. I loved the music, but even if you can’t get into it, it’s a great movie and an amazing story about the right wing machinery that makes a different kind of juggernaut act happen. Fay Grim – Another instalment in my fangirl appreciation of writer and director Hal Hartley. I think Jeff Goldblum was miscast, he’s acts too big, but Parker Posey carries the movie. She’s the original Manic Pixie Dream Girl. The Postmodern Life of My Aunt – This was a winding story about a woman of a certain age trying to live in and embrace the new China but she gets duped and swindled and ends up back in her old impoverished and small life. At the time I thought it was too long and her naive decisions frustrated me, but it was a haunting story and a really moving performance. It stayed with me and became a parable for the transformation that is happening in that country. It also stars Chow Yun-fat in a great turn as a sneaky Lothario. The Last King of Scotland – directed by Kevin Macdonald. Yowsa, that scene in the airport towards the end of the movie is still vivid in my memory after 6 years. What a cast, Forest Whitaker was Idi Amin and won the Oscar, but it also included James McAvoy, Kerry Washington and Gillian Anderson. BTW – Kevin Macdonald also directed one of my favourite docs, Touching the Void – it will keep you on the edge of your seat too. Pan’s Labyrinth – Guillermo del Toro had already made a few really good movies but this was my introduction to him. He’s done a lot of weird stuff since (Hellboy II and The Incredible Hulk TV show??) so I don’t know, maybe this was his peak for me. I thought the mysterious and dangerous world he created underground and the pressing, claustrophic sense of personal threat above ground were incredible. The movie made me squirm and I loved it. I also gave big trees a wide berth for a while afterwards. Jindabyne – This story killed me. It’s about a bunch of guys in Australia who go on a fishing trip. As they head up river on their first day, they discover a corpse but make a decision to leave it agreeing to deal with it on the way back. The corpse, however, is a young, naked, aboriginal woman. The way the movie handles the fallout and aftermath got a little melodramatic in parts but the rest of it was fantastic. Gabriel Byrne is amazing and the story itself is confounding and will stay with you. Red Road – To be honest, I saw this movie in London a few weeks after the festival but it was so great, I want to include it. It was written and directed by Andrea Arnold who went on to make another amazing movie Fishtank, a few years later (she also directed Wuthering Heights but I didn’t see it). This woman tells really tough stories and has written some of the most complicated and interesting female characters of the last several years. I don’t want to tell you anything about the story of Red Road because I don’t want to give anything away, but see it if you get a chance, it’s gritty, emotional and surprising. So is Fishtank. See either. The Lives of Others – Also one of the best Q&A’s I’ve ever attended. It was a first feature written and directed by Florian Heckel von Donnersmarck (! ), and told a gripping, edge of your seat, crackling story. We follow a Stasi agent who, for personal reasons, targets a young attractive couple in the arts, bugs their home, infiltrates their lives and starts listening in to everything. It’s a thriller, an intimate and complex character study, an examination of loyalty, and a frightening look inside the operations of East German intelligence gathering in the early ’80s. The lead actor, Ulrich Muhe, was a famous actor in Germany with some influence and was very instrumental in getting the film financed. It turns out that he had been the subject of some harrowing Stasi investigations himself years earlier so he wanted the story told. It ended up winning the best Foreign Language Oscar. If it had been made in English it would have been a top grosser that year. See it. It’s a great movie. 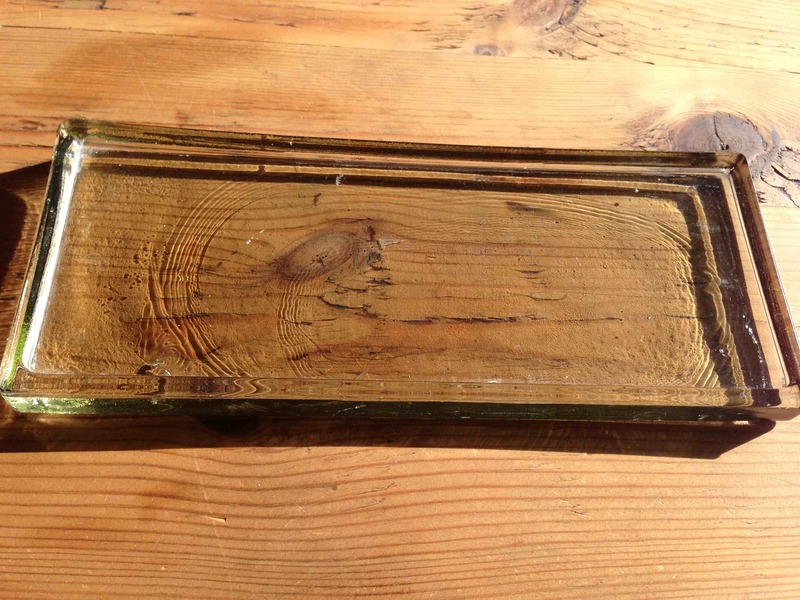 Today I’m giving away this glass dish/plate for square candles. I really liked this. It held three square block candles and sat in a little window in my front hall for quite a long time. The candles burned down long ago and I thought I’d be able to find new ones but haven’t and now I have something else in that spot. It was a gift from my friend Anne who always finds nice things for your home. It’s going in the Loonie/Toonie sale box. I should say here that whenever someone comes to my house I give them a crack at anything they want in the Goodwill box or Loonie/Toonie sale box. Amazingly about half of it goes out the door with a visiting friend or family member. I’m happy about this. It’s kind of like regifting but more transparent. Today I’m giving away this piece of wooden wall art. It’s about 12″ x 12″. It used to hang on a narrow wall, along with a few other smallish pieces, in a corner of my living room. 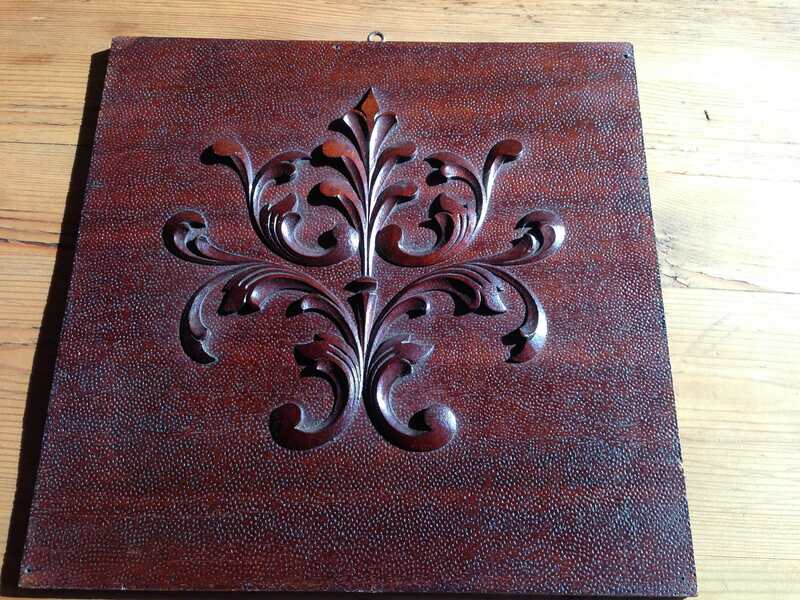 I liked the colour, the baroque thing, the hand tooling on the wood surround, and the fact that it used to be a panel in the door of a large wooden cabinet. It felt like recycling to me. I bought it for a couple bucks at a little antique store in Bancroft. I haven’t had it out in a long time. I really like art on the walls so this has sat in a storage cupboard. 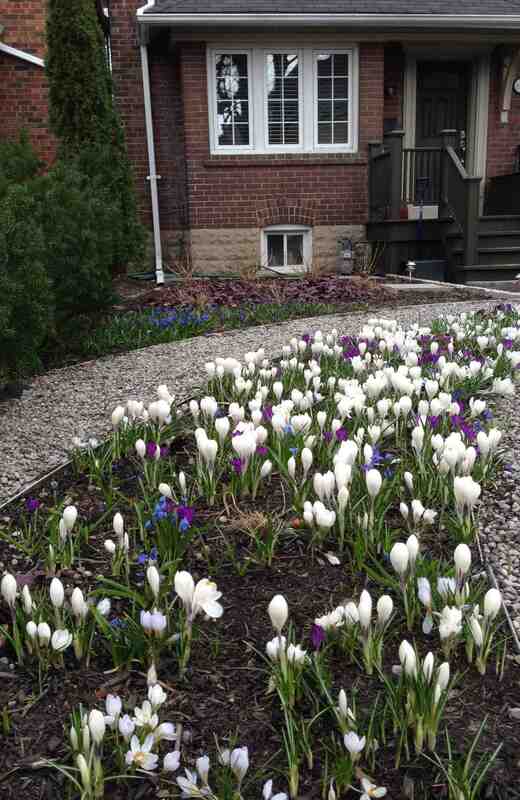 I thought it would be perfect for the loonie/twonie sale at my nephew’s school. It’s early to start collecting for that but his mom, my sister, said she was happy to take stuff now for the sale in December. It’s such a great fundraising event for his school that they gather things for a long time. She may regret telling me that; we’ll see if I’m testing her enthusiasm. How do you spell twonie? 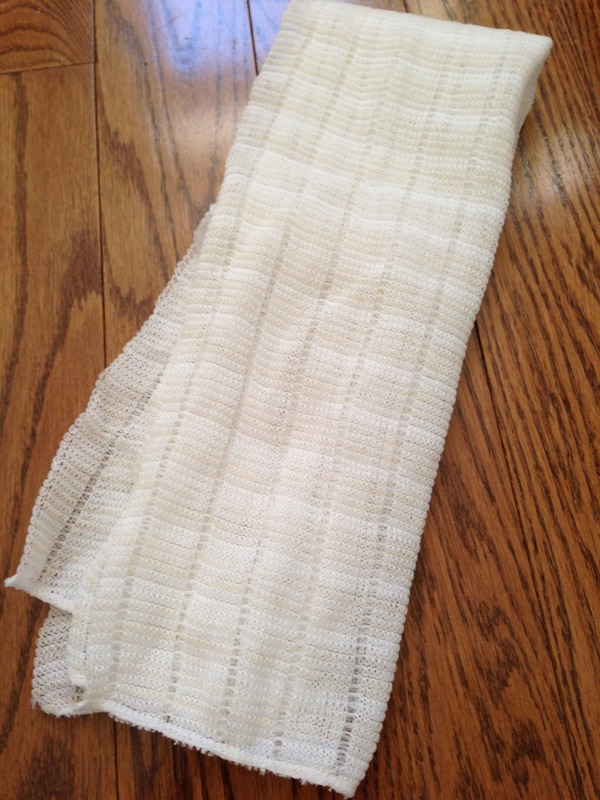 Today I’m giving away this cloth. I think it’s for shining your shoes. I suspect this because it was in with my shoe bags. I don’t know what else I would do with it. It isn’t that soft, I think it’s nylon, so I can’t imagine shining shoes or anything else with it. I’ve put it in the Goodwill box. Bad enough having single purpose tools that you don’t use; this is a tool of dubious purpose just taking up space.